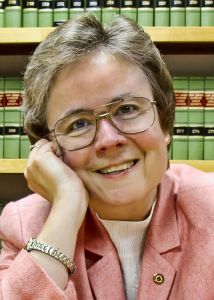 The Legal Genealogist Judy G. Russell is a genealogist with a law degree who writes and lectures on topics ranging from using court records in family history to understanding DNA testing. On the faculty of numerous genealogy institutes, she is a member of the Board of Trustees of the Board for Certification of Genealogists, from which she holds credentials as a Certified Genealogist and Certified Genealogical Lecturer. Her award-winning blog is at http://www.legalgenealogist.com.